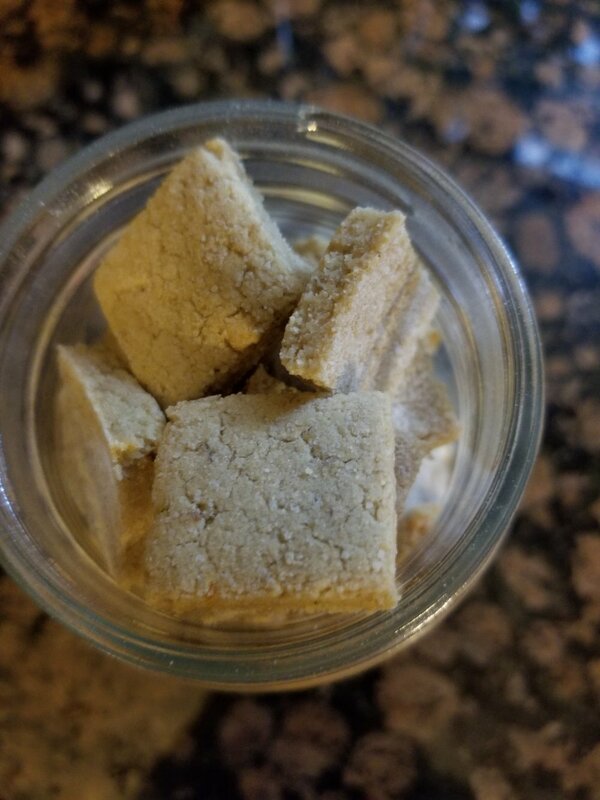 I make my own oat milk, and with the residual oatmeal from that process, I like to bake dog treats. 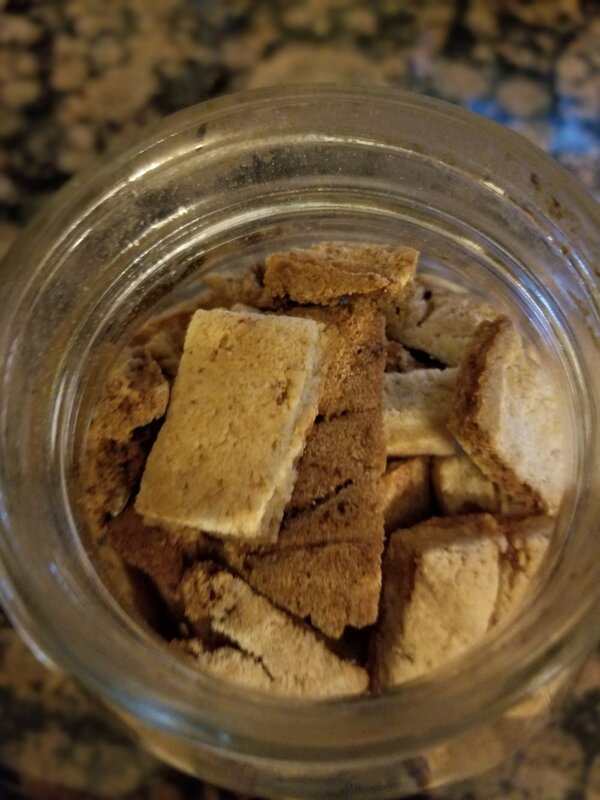 With 4 dachshunds, I prefer to give them homemade treats because I know what’s in them, and it’s ridiculously inexpensive to do. I usually use an egg, but we didn’t have any and to my surprise, the mixture held together beautifully. 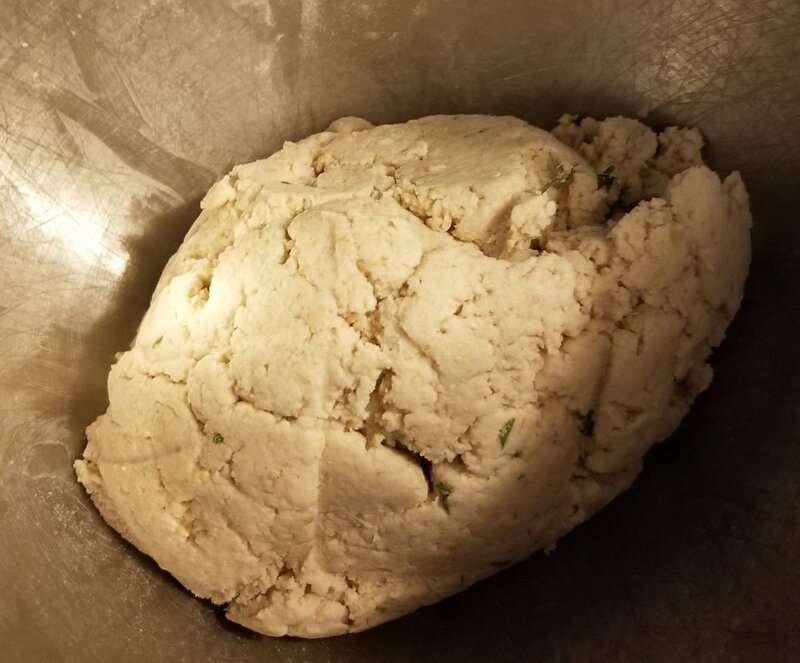 Combine all ingredients until dough forms a ball, like this. 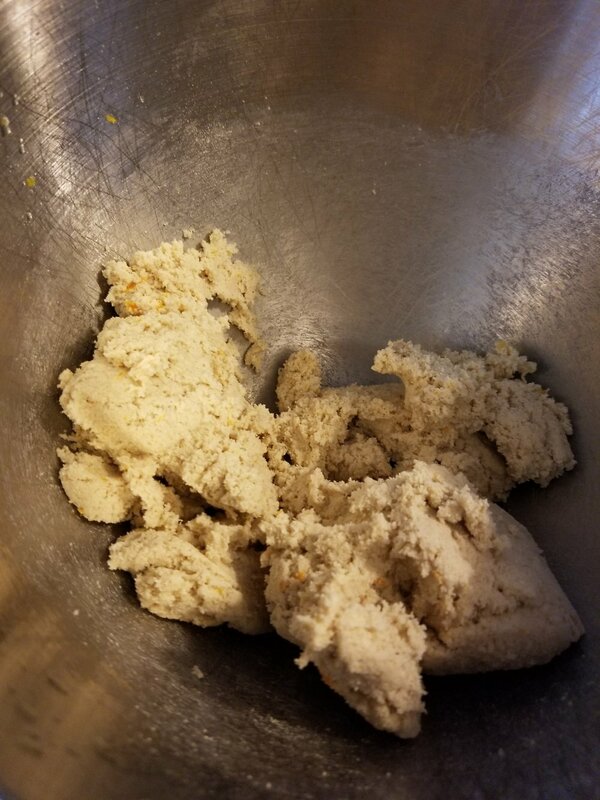 Dough should stay together in a ball. It it doesn’t, add more rice flour. 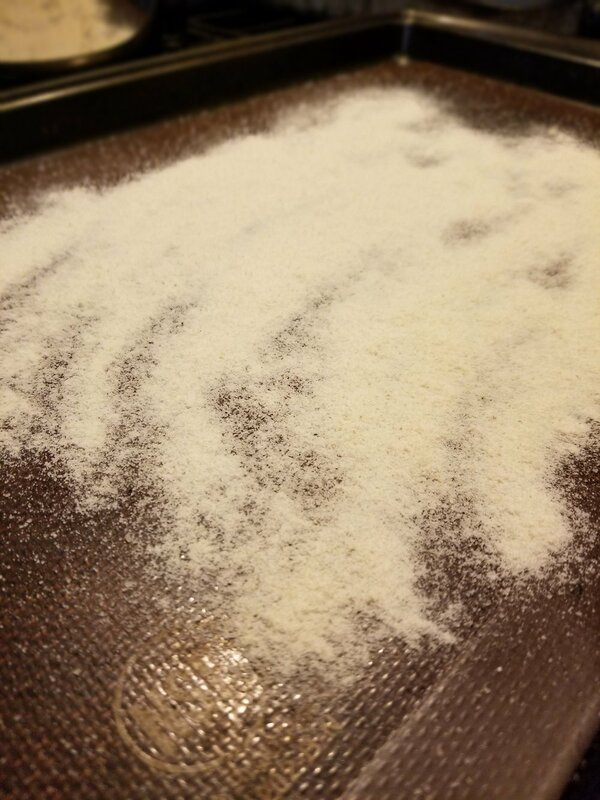 Roll your dough out on a generously floured baking sheet. I prefer to use a silicone baking mat, so they don’t stick to the sheet when baked. Roll to 1/4” thickness, then score to the size treats you would like. You could alternatively roll out on the counter, and then use cookie cutters, but it takes much longer and the dogs don’t care! Bake on 350 F for 30 minutes, then turn the heat down to 200 F and bake for an hour. Let the oven cool down completely, about 2 or 3 hours (or even overnight), then take them out. The extra time in the oven after it’s off allows them to dry further without burning. These treats also work well in a food dehydrator overnight, on the lowest setting. They probably don’t need to stay refrigerated because they’ll be very dry, but you can freeze them or refrigerate them and take out just what you need it if you won’t use them as quickly. …more holistic, grain-free treat recipes are available in my hardback cookbook or my digital downloaded version.